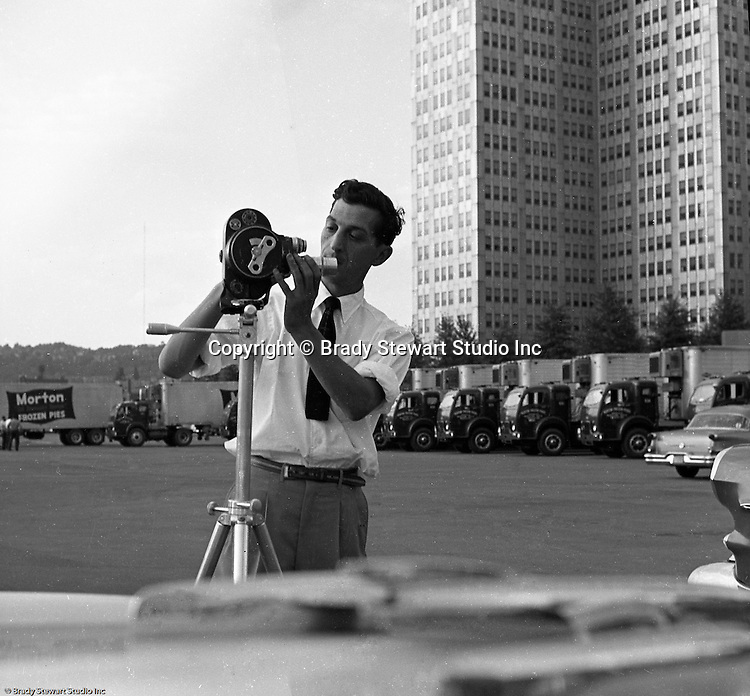 Pittsburgh PA: Brady Stewart Studio on location for Morton Frozen Pies at Gateway Center in downtown Pittsburgh - 1957. Assignment was for Ketchum McLeod and Grove Advertising. Brady Stewart Jr. and Ross Catanza handled the unique assignment. View of Ross Catanza preparing to shoot a 16mm film for the assignment.